Start typing any keyword in the Search box available next to the OpenSesame logo to view our refreshed Typeahead. The top section will immediately surface popular, recently searched for topics within our catalog in order to help guide you to relevant results. If you already know which course you need, select it from the course results below to go directly to the course page. Selecting one of the popular topics or pressing enter after typing your keyword will direct you to the OpenSesame Search results. The most frequently used Search filters are available, at a glance, on the left to allow you to to refine your results. Audio Narration: The course contains audio narration throughout. Inline Activities: The course contains activities such as knowledge checks to keep the learner engaged. 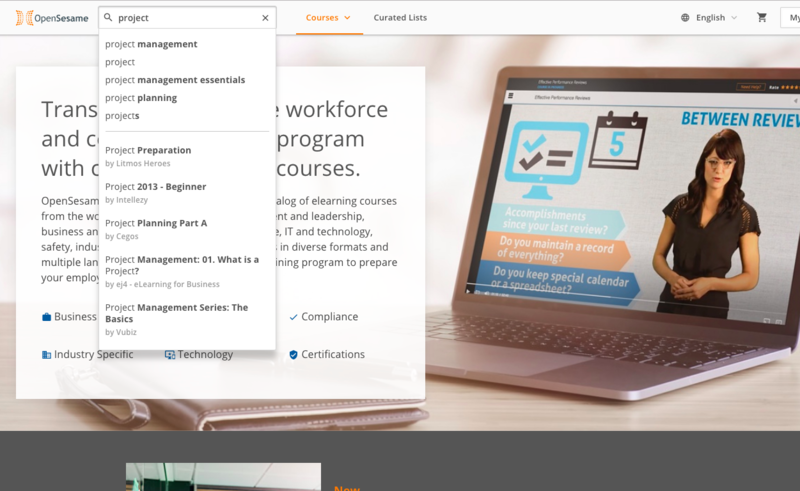 Supplemental Resources: The course contains supplemental material such as downloadable resources that the end-user can use to enhance their learning experience. Video: The course is primarily video based. Animated Video: The course is primarily in an animated video format. Post Assessment: The course contains an assessment at the end of the course that measures the learner's understanding of the course material. For more details on how to best utilize our updated Search experience, please read the in depth guide available in our community here. 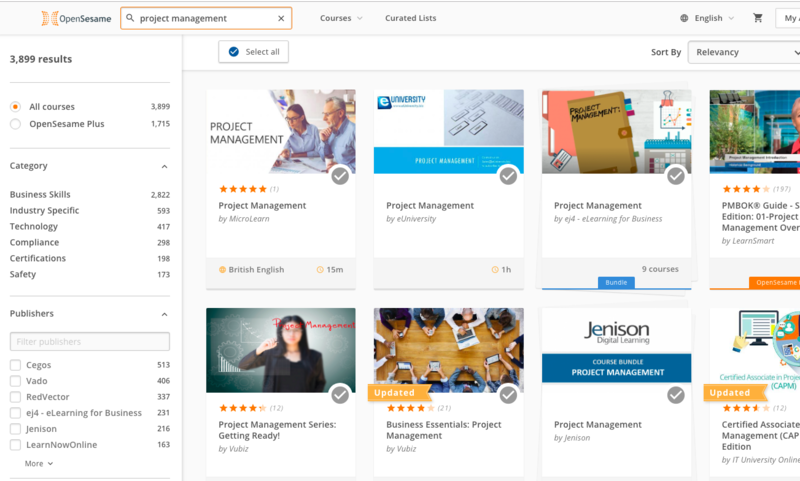 How do I send courses to my LMS using a List?